This week, I'll be receiving half of the 2nd batch of the 2018 TSN LE brushes to ship to the European forum members, while the other half is being shipped to Phil. As you may know, these come with Premium Boar bristles in a 25x53mm knot and the same luxurious resin handle. See the brush here. Be sure not to miss these, since they'll fly off the shelves! Please note that I'll be going today for a short vacation and be back this Friday, so I'll start shipping the orders next week (July). Some members already received their brushes and started to use them. 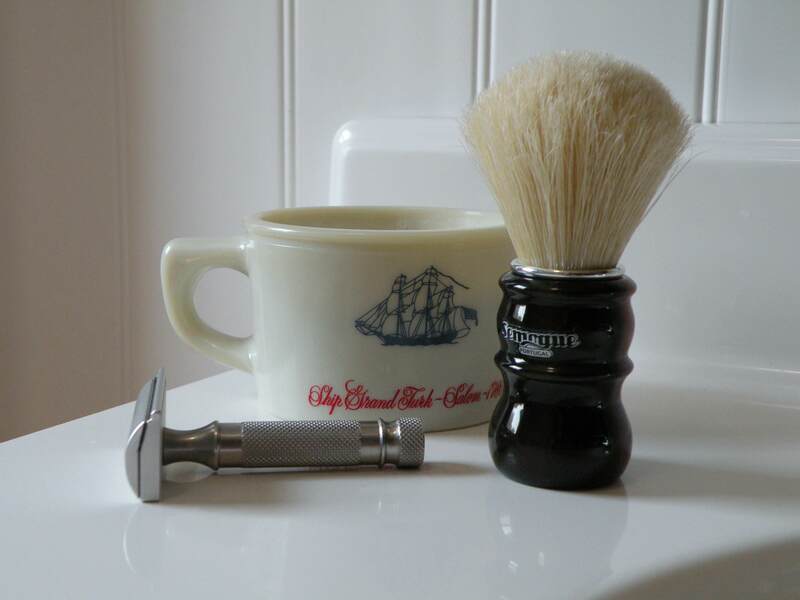 Don't miss these very special boar brush, arguably the best boar brush ever! Get them in Vintage Scent shop. (07-30-2018, 02:51 AM)Leon Wrote: Hi gents. Is the knot any different to the SOC? Yes it is. It's 2-3mm shorter and built differently. The result is a total different feeling from the SOC, this is not just a SOC with a better handle, far from it. (08-29-2018, 02:23 AM)Leon Wrote: Yes it is. It's 2-3mm shorter and built differently. The result is a total different feeling from the SOC, this is not just a SOC with a better handle, far from it. Thank you. Does it have more backbone than an SOC? I had an SOC with a 50mm loft and a 10mm glue bump but found the hairs just too soft. If I may add my 2 cents - the TSN 2018 LE is the best boar brush on the market. I tried almost all other Semogues, Omega, ABC, and Thater, which in my opinion offers a good sample. The knot is dense, the backbone is strong (stronger than SOC) but the brush still splays very nicely when face-lather. The hair is truly fine and in my brush (#135) there is not a singly prickly bristle. After a dozen shaves I became so attached to this little soap warrior, so I went ahead a ordered another one from Bullgoose. (08-29-2018, 11:36 AM)ARGH Wrote: If I may add my 2 cents - the TSN 2018 LE is the best boar brush on the market. I tried almost all other Semogues, Omega, ABC, and Thater, which in my opinion offers a good sample. The knot is dense, the backbone is strong (stronger than SOC) but the brush still splays very nicely when face-lather. The hair is truly fine and in my brush (#135) there is not a singly prickly bristle. After a dozen shaves I became so attached to this little soap warrior, so I went ahead a ordered another one from Bullgoose. I ordered mine today at Vintagescent. Can't wait for it to arrive!! I’m not a huge boar fan but I have to admit that even with only a few days of use this is a brush I really like.